As a composite design agency, we have techniques with creative and productive philosophy. This mix enables us to provide cost-effective elegant design and commercial solutions, which keep pace with the latest industry trends. Our wealth of knowledge can help our clients earn more benefit from our technology in creative and production, such as marketing and product development. This personal wearable device has multiple functions. It includes live cam, static electricity remover and phone-left reminder. When using TIMEVER you can take pictures or videos easily and share them immediately. On the other hand, you don’t have to worry about clothes static problems when you were wearing it. Most importantly, you can set a limit distance and the app will send an alarm when your phone is farer away from you, just like a techie’s badge you can wear every day. To ease the burden of trips for businessmen, we created a clever device that fits in any suitcase and combined the most important demands such as a power bank, laser pointer and LED flashlight. 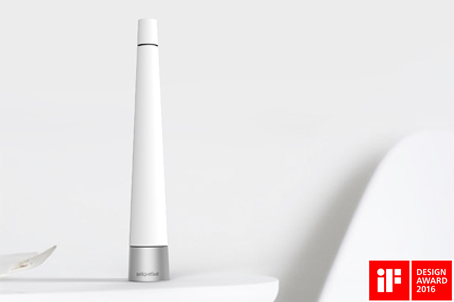 Users can switch between the functions through rotating the head with one hand and can recognize the status by simple icons, which is why the device is easy to operate. 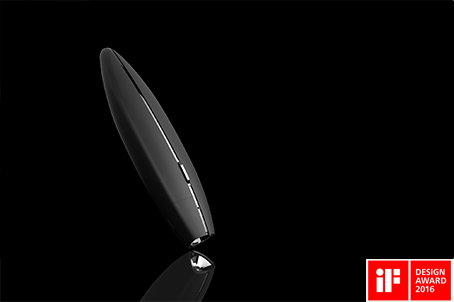 Its streamlined ergonomics make the concise handle feel comfortable and handy to the users. It only has one USB Type-C port that prevents users from misusing and creates more space to make it lighter. 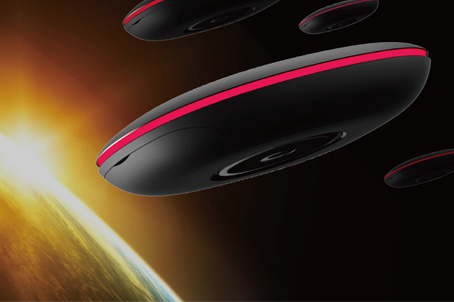 It was named Shuttle S™ and its design is based on elegant shapes. In our life time, we missed many precious scenes everyday, such as children's smile, an adorable bird halts, or someone's funny expression. Most of them passed just because we don't have a right tool to keep them. 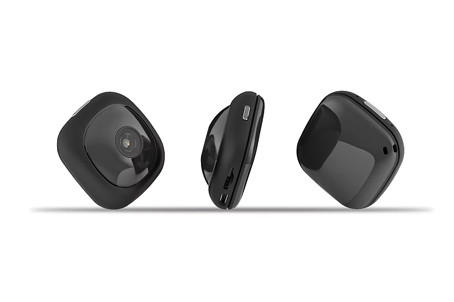 OnReal is a tiny, wise and agile mobile camera that could take videos and pictures in Full-HD quality, and stream theme to cyberspace or your tablets/smart phones at the same time. it has a magnetic turntable at back side that could be easily fixed on your suit just like a delicate decorative accessory and carry it everywhere. However, keep the enjoyments just becomes so easy. BRiGHTiME™ is a multi-functional lamp. It's also an alarm clock which will project light to let you know what time it is when you get up in the morning. It can switch between several situational lights through a capacitive touch sensor and in case of a power cut in the house or any emergency situation, just turn on the illumination mode. In a romantic moment it can become an electronic candle. With its concise design, BRiGHTiME™ could directly assimilate to your home decorations. 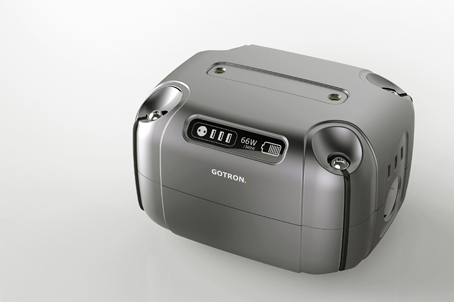 GOTRON™ is a high capacity mobile power box. It supports mostly home appliances and mobile devices by AC sockets and DC USB slots. It's a mobile power or an UPS when we encounter power cut. Using this device at basement or garage without outlets, such as providing power to tools or vacuum cleaner, it's also a car jump starter, it's easily carrying to use at outdoor, like camping, picnic and activities. It supports systematization through be stacked to get more applications of professional scenes, such as decorating, street performances or emergency medical services. At internet connecting, we need disconnecting protections. EANPOD™ is the world's smallest UPS with high capacity, it can give urgently power to finish your works when you meet power cut. It's suitable for family, office and gaming. The form is particular design which is similar traditional film, Retro design brings more emotions. 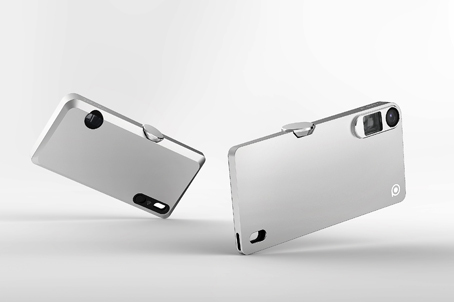 Considering with firmness and practicality, using solid aluminum and clean outline. It's able to charge laptops, smartphones, and tablet PCs. The LED indicator can show you the electric status clearly,it's really desirable to daily use. It's all about "willing to shot",only if you get a device which have the necessary elements: the easiest, fastest and lightest. To achieve this goal and take photos correctly, we need a optical view finder to build into the device. PARAGON™ is a wonderful pocket camera which can take a wide angle photos and shot Full-HD 1080P films on your palm. it's easily to catch every rare scene in your life,trip, and have time-lapse function. It could be connected by wireless to streaming data to your mobile devices for easy remote viewing and sharing. 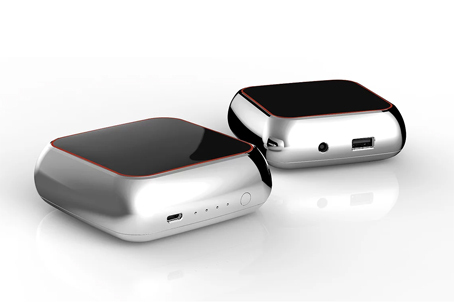 The multifunctional portable power pack named “Mercury” is designed by SIMPLO Technology. It is fully capable of charging almost all of mobile devices, such as smart phones, tablets, e-readers, portable speakers and many more, especially mostly of laptops. Based on SIMPLO’s HCHE tech (High Capacity and High Efficiency), just like a matrix of power into people's life, but still remains smaller size than other similar products. Mercury is the best commendable power solution for all your mobile devices. Portable personal cloud, at any time to smart phones, tablet PC and computer access to files and services, so that your personal data security, do efficient data management and backup. Unique lighting design, more at home to add the atmosphere, so that life adds different fun. 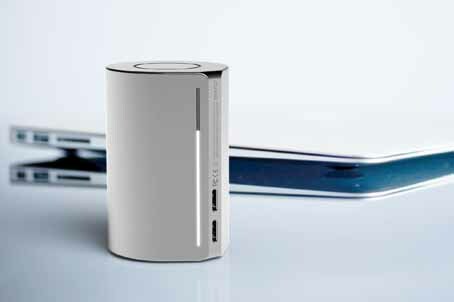 Enjoy the convenience of life in the cloud, but also both fashion decorative features, and can directly connect USB external hard drive, to provide easy expansion of the large cloud storage capacity. At the same time with one-button backup, ultra-high-speed Gb Ethernet, wireless near-end access and other useful features, to create a strong and secure personal cloud, as long as a machine to get all! We all have a common problem that is we couldn’t combine smartphone and power bank perfectly when you are in charging for it. 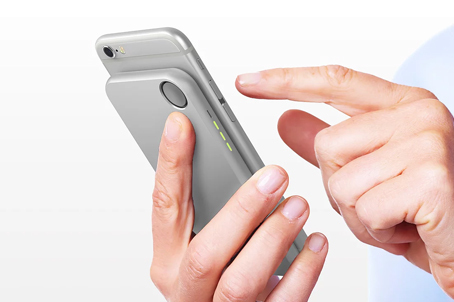 SealPat™ is a lightweight power bank with clever solution which is settled the power bank while charging a device. It has two elastic rubber buttons that can be pressed easily and sucked to be fixed in backside of smartphone. In this way, end-user can charge and use the device as usual agilely. It has no button but users can trigger the display LEDs by shaking and to know the battery status. 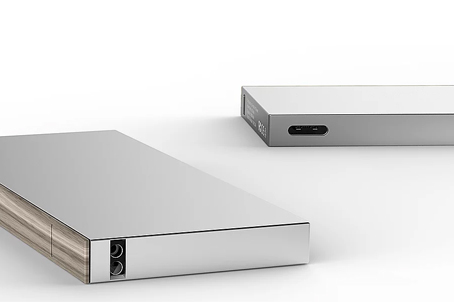 NeatDeck™ has an obviously shape of minimalism but also with multiple functions: power bank, presenter and LED flashlight. It can connect with laptop via BT4.0, turn page up/down by capacitive touch sensor under woody sheet, and press the button to trigger laser pointer. To avoid damages to misuse, it uses one USB Type-C port. 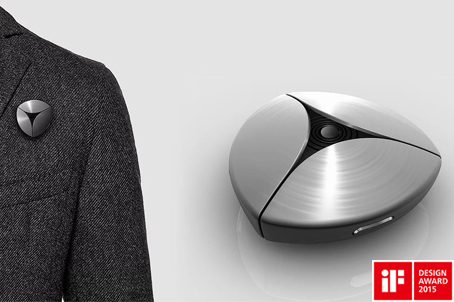 Slim form brings nice handy feeling and confidence when you're briefing. Through material combination of aluminum alloy and washed oak convey particular senses which have glamour and high-tech.